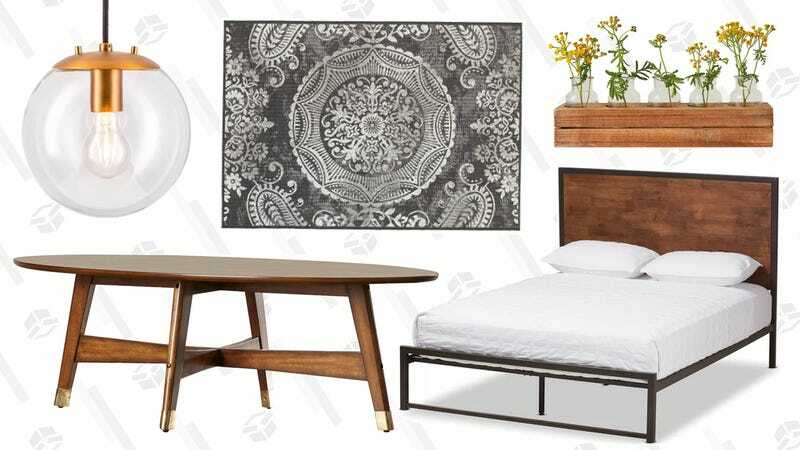 Wayfair’s back at it with another huge sale. You can save up to 70% off a laundry list of home decor items like wall art, area rugs, sheets & comforters, sofas, mattresses, dining room furniture, and more. There’s so many items to look through, so make some time in your schedule. If you’re needing some place to start, I like this mid-century modern coffee table, wild flower center piece, and industrial-style platform bed. This sale ends Sunday at midnight, so head on over to Wayfair to see it all for yourself. Let us know about your favorite finds in the comment section!